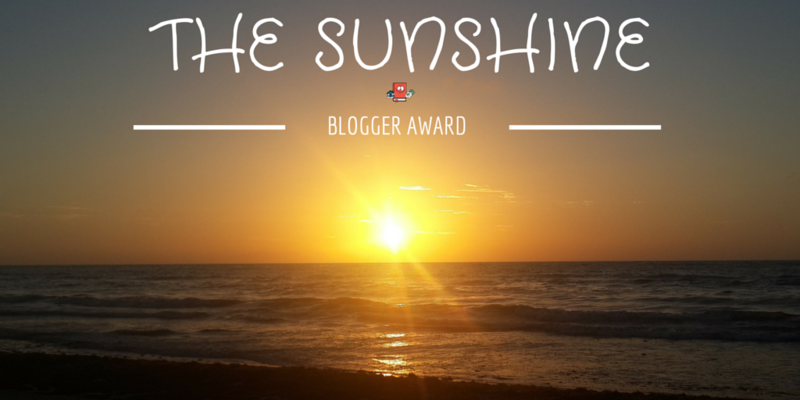 So massive thank you to the awesome Plain, Simple Tom Reviews for nominating me for my very first Sunshine Blogger Award. A great guy with great reviews who you should definitely check out! I love talking about movies and it means the world to me that I have a number of like minded people on my blog who enjoy movies as much as I do. You are all the best! Now onto the questions that were set to me by Plain, Simple Tom Reviews! Who are good inspirational role models for young kids to have today? I honestly don’t think you can pinpoint one person for all young kids to look up to, it all depends on what that particular kid wants to do with their lives, and the people that are in that profession should be that kid’s inspiration. But I do think kids looking up to celebrities like Kim Kardashian or Justin Bieber is very very strange, but hey that’s just me! You have a time machine – do you go backwards or forwards in time? Forwards, always I’d love to know what happens in the future, just ought to be careful not to alter things Marty McFly style! What has been your favourite country that you’ve visited and where would you most like to go next? I’ve been to the USA plenty of times and it is a cool place to visit and would like to go back to, as there’s so many cool places I haven’t visited there yet that I really want to. But I really want to go to Antarctica. Penguins are one of my favourite animals and I’d love to go to Antarctica to visit the Emperor Penguin up close. March of the Penguins is one of my favourite documentaries. Not a cool kid, let’s just say that much! Do you prefer going to the cinema, watching films on Netflix (or another similar site) or buying and watching DVDs? I have a considerable Blu Ray collection and I enjoy sitting through movies at home, if Netflix has a movie I have missed, I’ll use that but for me nothing beats the feeling of being in front of a big screen in a darkened room, especially in an IMAX cinema, it does feel like you’re taken to another place there. Probably Afroman’s Because I Got High, as it was the first CD I ever bought and it really made me laugh, the song is still great to this day. Probably my father, bit of a lame answer I know but he’s always been there for me, through every twist and turn in my life and I’m always grateful to him for being there to support me as there have been some rough times and he’s been the immense figure of support like you want a father to be. My late mother was also my inspiration for wanting to get into writing and journalism. Game of Thrones. Look out for some season reviews coming on the site for that. I just think the quality of the acting, writing, directing and production values on that show are second to none. The characters are all brilliantly portrayed and certain episodes capture almost a cinematic quality to them. If you haven’t watched the show, get on it, it is damn good television. Sausages and Chips with a couple of Koppaberg Pear Ciders to go with it and profiteroles for desert. Absolutely delicious! I do enjoy my music as well as movies, so I would love to have learnt a musical instrument such as the guitar as I’m a big fan of rock/alternative music. And finally, a favourite: which 5 actors/actresses would you have at a dinner party? Oh blimey, tough question! Well for one Jennifer Lawrence cos she’s probably my favourite actress and you can guarantee she will liven up a dinner party! Tom Hanks again one of my favourite actors and there’s so much you could chat to him about as he’s had a glittering career. Samuel L Jackson likewise, a true Hollywood legend, and supporter of my favourite football club! Emilia Clarke another, again another one of my favourite actresses for her incredible work in Game of Thrones and finally representing good old Blighty, got to have Mr Benedict Cumberbatch, another wonderful actor who I’d love to chat to simply because I thought he was magnificent in The Imitation Game, my favourite movie of 2014. With these five, I think it would be a great dinner party!!! What has been your favourite movie of 2016 thus far? If you could pick an artist to write and perform a Bond theme, who would it be? You have the chance to interview five people from any aspect of films and film making (director, actor, screenwriter , composer, cinematographer etc.) of your choice. Who do you pick? What has been the most disappointing movie you have ever seen? In your opinion, what has been the best movie of the 2010s so far? What is a franchise that you would like to see get put to bed? Favourite film character of all time? You have the chance to visit either: a Galaxy Far Far Away, Middle Earth, Asgard or Hogwarts? Where do you go? Do you think it is a bad thing that a fair quantity of movies these days tend to be remakes, reboots and sequels? What would you like to see more new and original movies get made? Looking forward to seeing your answers!! Thanks for the nomination dude. And I gotta say, your answers were pretty cool. I’m a bit busy at the minute. But I will get to answering the questions. No worries man! No rush at all! Absolute high five on the last meal choice!